Three of my favorite authors live in the same general bookshelf at Barnes and Noble. Ian McEwan, Cormac McCarthy, and Larry McMurtry. They are masterful storytellers who inspire me as both a reader and a writer. 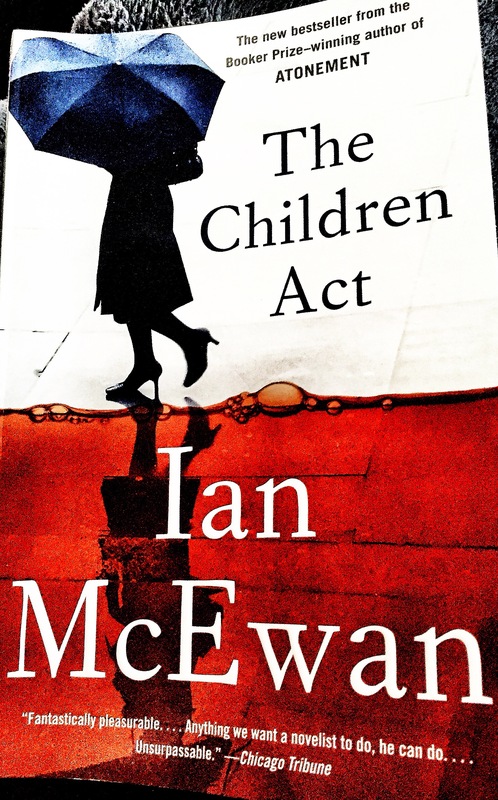 Yesterday I started The Children Act and I could not put it down. Somehow McEwan managed to convey the hopelessness I have experienced as a healthcare provider when I am confronted by patient’s philosophical or religious limitations on the care I think their condition warrants. I found the POV of a family court judge to be refreshing and fascinating. I devoured this book and will likely reread it in the future. His mastery of the English language is somewhat magical to me. I simply cannot comprehend making decisions to opt out of treatments to prevent some vague punishment in the afterlife. I find myself questioning their intelligence and reasoning skills. Even when I try to find compassion, I resent their decision. The key word is “their.” It’s not up to me. As a nurse practitioner I am tasked with providing information and offering suggestions. This is easy when the patient is amenable to my plans. It is more challenging when they decide to go a different route. Sometimes I find myself wondering if the patient actually comprehends the potential consequences of their decisions. I wonder if they are competent. (Obviously if you don’t like my answer there must be something missing, after all I worked hard to get to that solution.) Rather presumptuous of me, isn’t it? Despite my frustration I felt compassion for the family in the book. I wanted to like them. I wanted to understand their position. This is an important reminder for me. I don’t have to understand your reasoning (or in some cases my perception of your lack of reasoning) to be compassionate. Resentment serves no one in this situation. Next Third Time’s a Charm?? ?